Home » Language » 5 Myths About the French Language – how widespread is it? 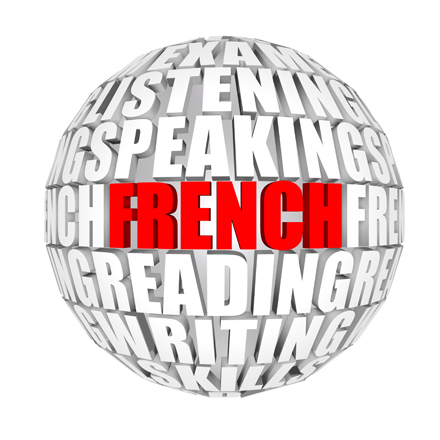 What do you know about French, one of the most widely spoken languages in the world? The follow are the truths about 5 common misconceptions of the French language that reveal just how dynamic and widespread this language is. While the official French language was developed in the region of modern day France, there are many countries in the world that recognize French as their national language. This is the result of France’s widespread colonial empire during the 20th century, under which colonized regions were governed by the French and were taught French as the official language, having a lasting effect on the people and cultures of these regions. The French language has a reputation for being the “language of love”. While many people believe that this name comes from the smooth sound of the language and the picturesque landscapes found throughout the country, the term “Romance Language” means that the language derives from the ancient Latin that was spoken by people during the reign of the Roman Empire. Modern day French is actually heavily influenced by other languages, one of which being English. The adoption of words from other languages into the French dictionary is a result of their prevalence in the international world of business and pop culture. In a lot of cases, the English equivalent to the French word is much simpler or quicker to pronounce, and its the foreign word becomes accepted into the language. It is true that when interacting in a formal setting, like school or in the company of strangers, using the formal version of the word “you” is important in the French language. However, amongst friends, family, and younger generations, it is common to use slang, or “Argot”. A very common type of this slang is “Verlan”, where a word becomes inversed. The very word verlan is an example of this, where the French word for inverse, “l’inverse”, becomes “verlan”. French is spoken worldwide. French is one of the official languages of the United Nations and the European Union. English, the most common spoken language in the world, is partially derived from the French Language. Not only does French have an important role in international government and business, but is one of the leading languages being taught and learned throughout the world, indicating that its popularity is growing. not only important for those who are not active in the language environment but also to provide linguists some new views. You forgot the French speaking parts of Switzerland (Suisse romande) and Belgium (Wallonie) which contribute a lot to the “French” culture. And like in English, there is a huge difference between spoken und formal written language, and you can right from the beginning hear what is the educational background o the other speaker, language is still a class indicator (not as with German). Actually, French is also the official language of other countries that were never colonized by France: Belgium, Luxemburg and the French Canton in Switzerland. It is also the language of diplomacy. A curious fact: Although England and France have been at work numerous times throughout the history of the two countries, the motto French motto “Honi soit qui mal y pense” appears on the representation of the garter, which surrounds the shield of the coat of arms of the United Kingdom. Correction: “Verlan” is derived from “envers” (“à l’envers” = “inside out”/”upside down”), not “inverse”, which would have come out very differently in verlan (A–the “s” is pronounced, and B–the nasal sound “in” is different from “en”/”an”).